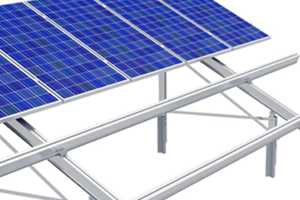 We deliver high quality photovoltaic mounting systems for you photovoltaic construction projects. 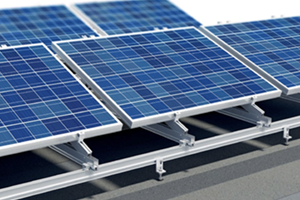 The mounting systems are suitable for all photovoltaic modules and laminates as well as for all wind and snow load zones and for landscape and portrait orientation. The systems are individual adjustability and thanks to a patented click-technology quick and easy assembly. Our mounting systems are supplied by HatiCon and S-5! 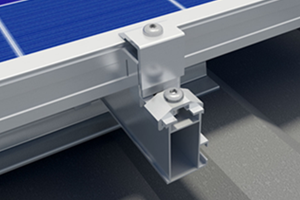 clamps by RoofTech for standing seam & fold roof. With the help of various adjustable roof hooks, the mounting system by HatiCon can be assembled onto any roof structure. The pitched roof systems provides mounting rails of different size, so as to meet the static requirements of every substructure. HatiCon industrial roof system allow for a quick and easy installation – landscape or portrait orientation – of framed and frameless modules onto almost all common industrial roof structures. The 3 basic variants for flat roof structure by HatiCon allow for an installation angle of 10°- 45°. 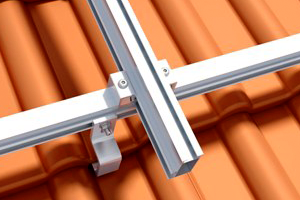 Flexible adjustability combined with a broad selection of roof connection options and pre-assembled components account for the uniqueness of our innovative systems. They stand out for their fast assembly and a minimal use of tools. A variety of installation options, such as sigma-posts, concrete foundation, screw down/rotary driven supporting systems and foot plates ensure that our ground mounted system can be installed in various ground conditions. The system is easily extendable due to its modular design. With various bearing blocks and the right supporting structure, the system by HatiCon will perfectly match the specific conditions of your site. 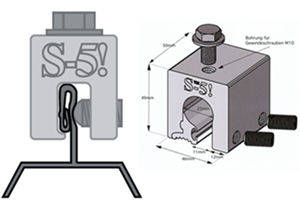 Experts for metal roofs agree that S-5! Clamps enable the attachment of almost anything on standing seam roofs perfectly: stable attachment, no piercing and simple installation. The patented S-5! Clamps offer reliability, permanence and holding strength unmatched by any other attachment system. Threaded holes in the clamp or the flange (and stainless hardware provided) enable the easy attachment of various ancillary items to the clamps. Z-Clamps is specially developed to fit profiles having a round “bulb” seam with a 23mm diameter – such as roofs of Kalzip®, Bemo®, Aluform, Interfalz, Euroseam® or Kingspan. Its two-piece design allows adhesion and form closure on the seam. The special feature of the patented clamps are the bullet-nosed screws which will compress the metall without piercing it. 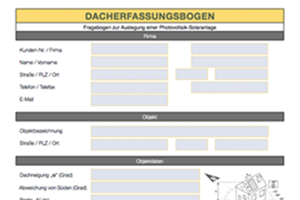 Please use our Roof top registration sheet which you can fill out directly at the PC and then send it to info@multiwatt.de.